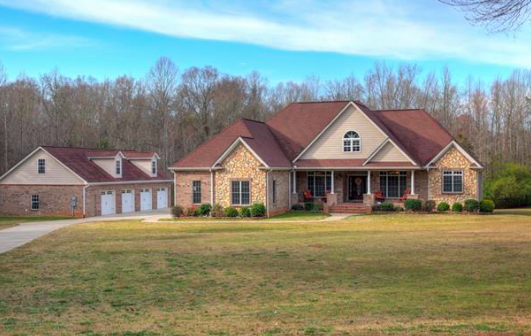 An absolutely beautiful new listing is available in Shiloh Farms that features 3,200 square feet with four bedrooms and three bathrooms on a massive 10.8-acre lot. The property is also home to a guest house with detached eight-car garage. Horses are welcome on the property that features a fishing hole and beautiful view of the 32-acre community lake just over the dam. This is a perfect place to live for horse owners or horse lovers, and the neighborhood offers plenty of outdoor recreational options. This desirable home was built in 2008 and has solid wood floors, crown molding, and tray ceilings. 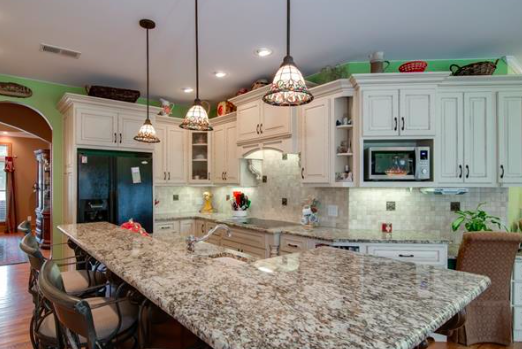 The large kitchen features granite countertops, a double wall oven, a large island and plenty of cabinet space. The master bathroom features a tile shower, whirlpool tub and double vanity, and there is tons of walk-in storage space throughout the entire home, including the attic and crawl space. 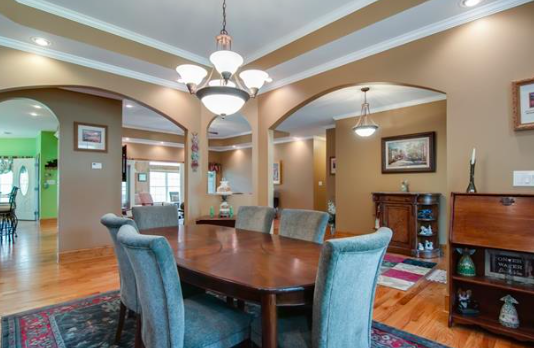 This home also features a generously-sized front porch as well as a bonus heated sunroom. Shiloh Farms is a lovely community of stately homes situated on expansive lots in York, South Carolina. It is conveniently located between the I-77 and I-85 corridors. York offers a strong sense of community and a slower pace than the big city metropolis of Charlotte. Furthermore, Shiloh Farms is located just 25 minutes from Lake Wylie, which offers plenty of outdoor recreation and charm. Plus, residents can take advantage of South Carolina’s lower taxes. 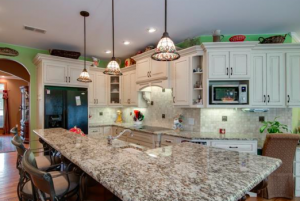 This property in Shiloh Farms just hit the market and it is listed at $714,900, and for more information on this home and others like it, be sure to visit LKWRealty.com.